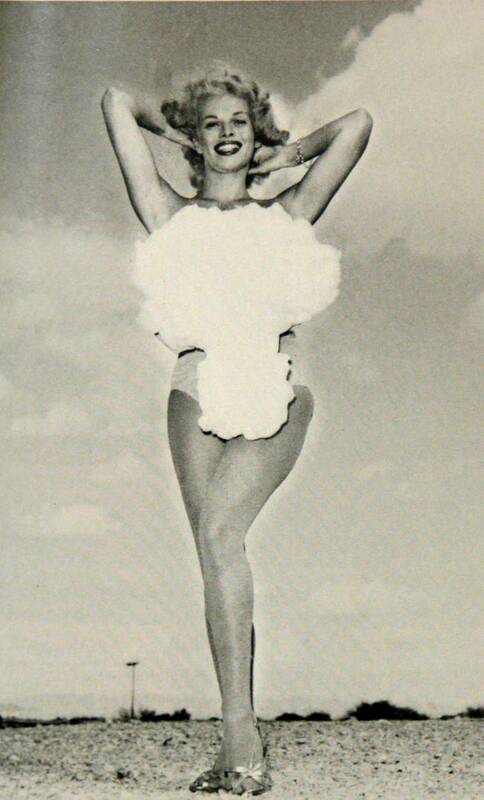 Copa Room showgirl Lee Merlin poses in a cotton mushroom cloud swimsuit as she is crowned Miss Atomic Bomb in this 1957 photograph. Above-ground nuclear testing was a major public attraction during the late 1950s, and hotels capitalized on the craze by hosting nuclear bomb watch parties, which usually included the dubbing of a chorus girl as Miss Atomic Bomb. 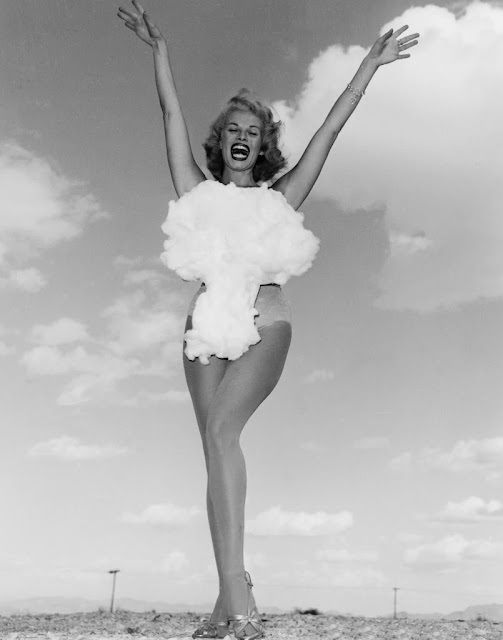 Merlin was the last and most famous of the Miss Atomic Bomb girls.